Yes, I want to renew and rebuild my joints! 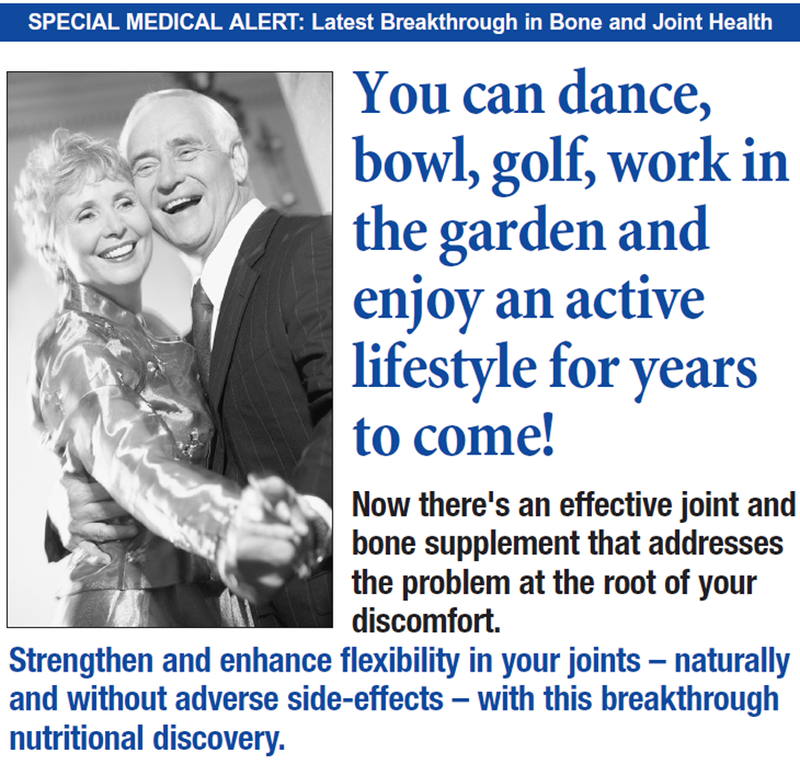 That’s why I was pleased to see FSP Nutritionals create one of the most effective, most cutting-edge natural alternatives for boosting joint health ever developed. One that could ensure soothing comfort to joints. Restore lost movement. And rebuild and nourish joint cartilage worn down by decades of hard work and grinding contact. If you’re one of the millions of people who end the day feeling far worse than you started it, you’re not alone. One expert, Dr Margareta Nordin at New York University, estimates that nearly every person will suffer work-related aches sometime in his or her career. If your joints call it “quits” before your day is done, give them a powerful supportive boost with Ultimate JointFlex. 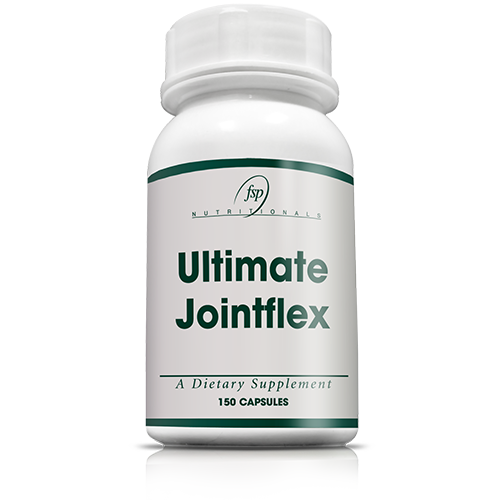 Clinical research has documented the soothing, joint-building benefits that accrue with the healthful nutrients in Ultimate JointFlex. It could help make your long day easier to tackle and your free time easier to enjoy! Vitamin C is an important building block in the formation of cartilage, collagen and joint tissue. But it also has important preventive benefits as well. According to researcher Dr Deborah Symmons, “Vitamin C is a scavenger of free radicals, which are known to be produced in inflammatory conditions like arthritis.” These free radicals are found in the joint fluids of patients with rheumatoid arthritis and inflamed joints. Vitamin C can play an important role in preventing free radical damage. active lifestyle you’ve always known? I have even included a simple “before and after” Report Card for you (below) that lets you conduct your own 60-day trial. Print it and clip it now while it’s handy and use it to judge its full effectiveness for yourself. If you’re not pleased with the results within 60 days – for any reason – just return the unused portion (including any free bottles) and we’ll issue a complete refund. Bounces back better with Ultimate JointFlex! Does that make sense when there’s a better alternative? With Ultimate JointFlex, you can soothe your joints, rebuild cartilage and halt the deterioration in your joints – safely, naturally and without the dangerous side- effects! Yes! I want to order Ultimate JointFlex for healthier, stronger and more flexible joints! I also understand if I’m not 100% satisfied with the results I get from Ultimate JointFlex for any reason, I simply return all the bottles (used and unused) within 60-days for a full refund of my purchase price. This is your 100% money-back guarantee to me. BEST DEAL! Buy 3 and Get 3 FREE, PLUS free postage and handling! You save R1349.95 on a 6 month's supply of Ultimate JointFlex! You pay just R1349.95. Get me started! Try Ultimate JointFlex for one month and pay only R449.95. SAVE AN EXTRA R100 WITH OUR SMARTSHIP PROGRAMME! You get an EXTRA R100 off your purchase when you choose Smartship. It ensures you automatically receive a fresh supply of Ultimate JointFlex just before your last supply runs out. There's no risk - you can call to adjust the timing of the dispatches. And you can cancel at any time with no hassles.